The more a parent smokes in front of the kids, the more likely those children are to become heavy smokers themselves, a new study finds. 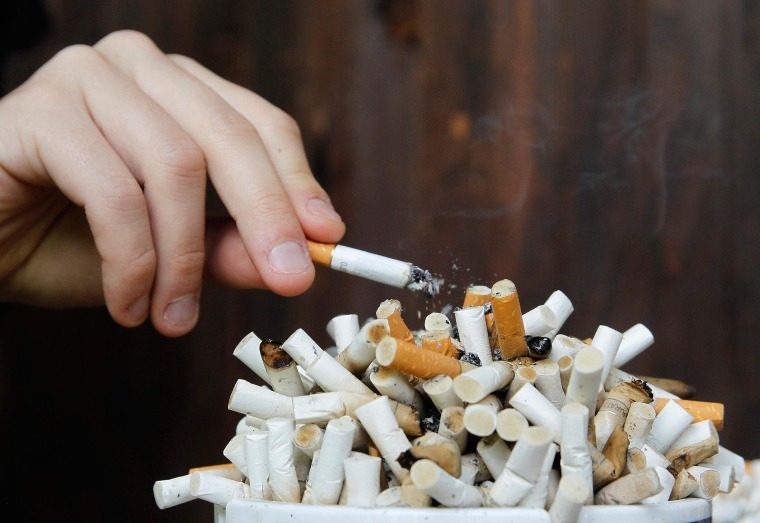 It’s clear that smoking addiction can be inherited, but the new study shows there’s more than just a genetic effect. The more time children spend seeing their parents smoke, the more they’ll smoke themselves, it finds. Dr. Darren Mays of Georgetown University and colleagues interviewed more than 400 kids aged 12 to 17 several times over a five-year period. They asked the teens about how often their parents smoked and also about whether the kids themselves smoked and if so, how much. Not surprisingly, teens whose parents were regular smokers were more likely to smoke. But teens whose parents had quit were not any more likely to smoke than the children of nonsmokers. And for every year that the parents smoked, the odds the teenager would take up the habit increased, Mays and colleagues report in the journal Pediatrics. “Research also suggests that offspring of parents who quit smoking are less likely to begin smoking and those who already smoke are more likely to quit,” they wrote. This makes it important for pediatricians to ask parents whether they smoke and to help them find ways to quit, the researchers said. Smoking kills more than 480,000 people a year in the United States, from cancer, heart disease, lung disease and stroke. “Each day in the United States, more than 3,200 people younger than 18 years of age smoke their first cigarette, and an estimated 2,100 youth and young adults who have been occasional smokers become daily cigarette smokers,” the Centers for Disease Control and Prevention says. According to the FDA, nearly 90 percent of adult smokers started using cigarettes by age 18.